It’s time once again when The Freight & Salvage is invaded by the music of British rock from the 1960’s. 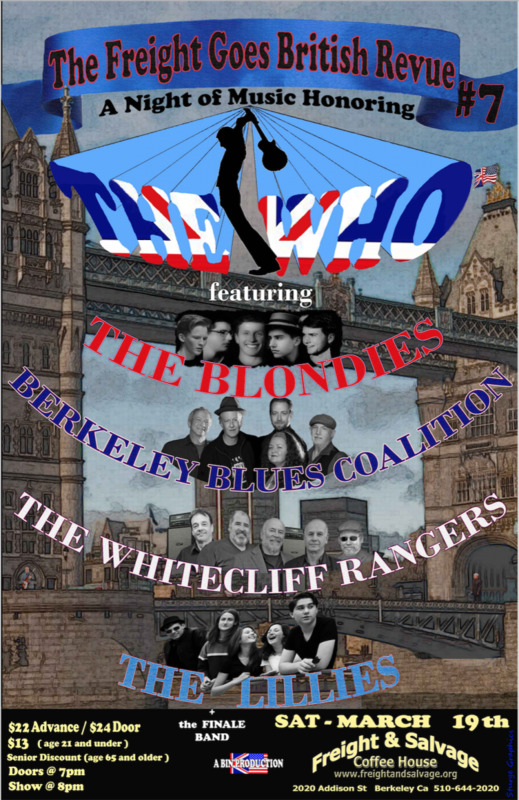 ‘THE FREIGHT GOES BRITISH REVUE #7 – THE WHO’ Every year since 2009 BIN Productions has hosted a show honoring one of Britain’s iconic rock groups, performed by current & former students of Chris Solberg. This year the honor goes to the bombastic group THE WHO. After much study & lots of rehearsing, each group will play at least three WHO tunes, plus songs of their own choosing. 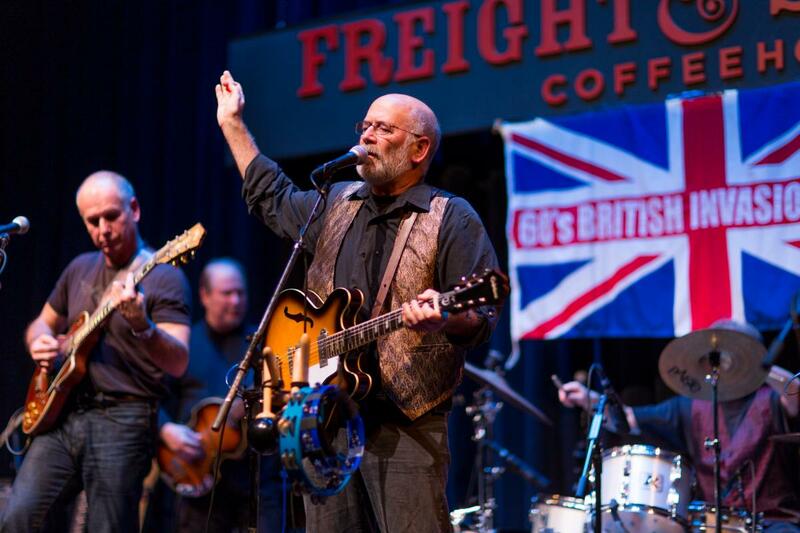 Veterans of several shows at The Freight, THE WHITECLIFF RANGERS are very diverse in their selection of American Blues based music. 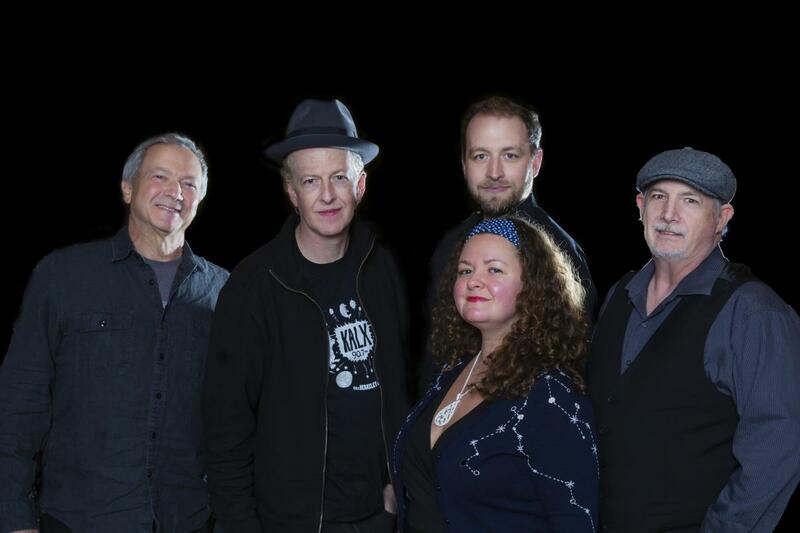 From Buddy Holly and Robert Cray, to Raul Malo and Van Morrison, they cover a wide variety of styles guaranteed to please. Featuring the Scott brothers (Bart & Robb), plus Jim Black , Donn Spindt, and Bob Lewis, they have mastered The Who songs for this show with finesse and humor. The newest members to join the FGBR stable are THE LILLIES. 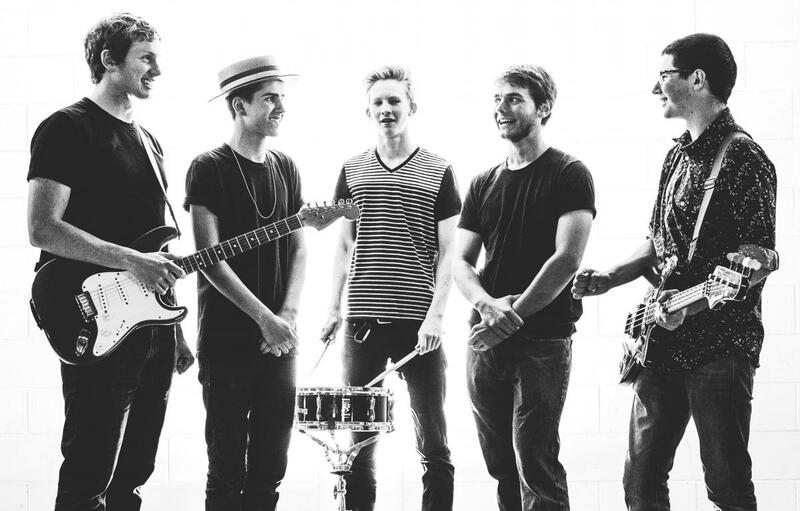 Just formed lately, this will be their first show at The Freight, and we expect they’ll be coming back many times with the amount of talent this band has. The opening act always has the toughest spot, but this group will impress folks with the amazing ability to rock at such a young age. Three gals and two guys provide all the punch needed to bring the dancers to their feet. 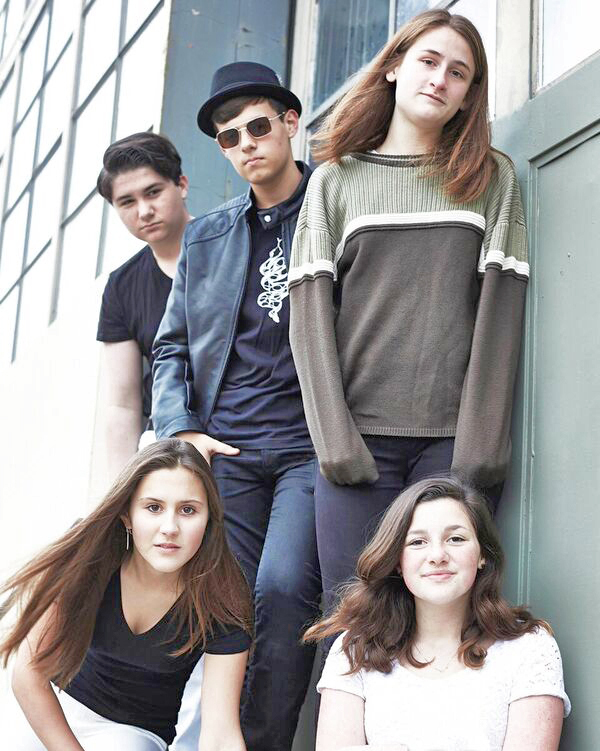 The Lillies features Kira Gelbaugh (bass/rhythm guitar), Sophie Kaufman (bass/rhythm guitar), Daniel Pliskin (vocals), John David Klopotowski (drums/vocals), and Lily Dawson (lead guitar). It will be awesome! Lastly…don’t forget our amazing FINALE BAND…a sum of ALL the musicians performing this evening…30 or more performers take the stage in a rock-orchestra of epic proportions, closing the show with rousing renditions of the biggest hits & memorable songs…this time by THE WHO! Please come support young talent and share in their adventure performing on a big stage in the nicest venue in the East Bay!